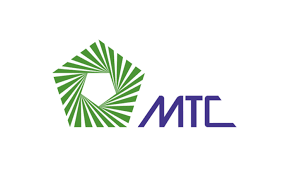 The first Malaysian Timber Conference, organized by the Malaysian Timber Council(MTC), was held on 18 October 2018 at the Le Meridien Hotel in KL Sentral, Kuala Lumpur, Malaysia. Themed “Towards a Better Tomorrow” the conference was opened by the Minister of Primary Industries in Malaysia, YB Teresa Kok, who emphasized the importance of sustainability in enabling the Malaysian timber industry to be well established in the global market place, adding that “sustainability and certification will determine long term success” for the timber sector. In his welcoming remarks, the Chairman of MTC, Dato’ Low Kian Chuan, drew attention to Malaysia’s good forestry practices, with sustainable forest management practices incorporated in the national system. He highlighted that Malaysia is committed to maintaining over 50% of forest cover and preserving forests as natural heritage. Peter Latham as Chairman of PEFC international, was a speaker of the event, he reassured the need for certification to prove that products are from sustainable sources was a key point to the forest protection during his speech on ‘Certification: opening or closing doors to global markets for tropical hardwood’.